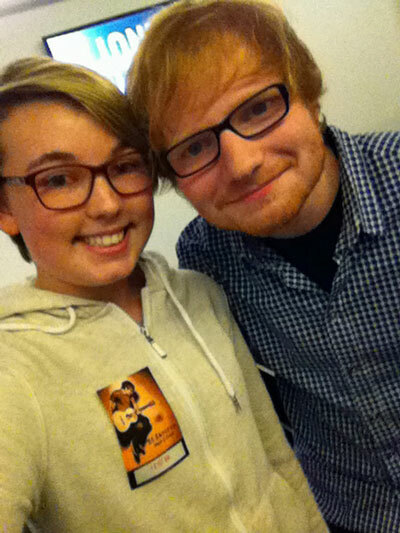 SUPERSTAR musician Ed Sheeran has lent his support to a school’s charity single recorded by one of its students who met the singer-songwriter at one of his concerts. The Brit Award-winner has featured the song Soldier, Soldier on his website for his millions of fans to enjoy and download. The song commemorates WW1 and is raising money for Care for Casualties – The Rifles’ Charity and ABF The Soldier’s Charity. The Duke of York’s Royal Military School (Dover, Kent) asked student Rachel Ward, 14, to record the song – not surprising as her father is a serving member of the British Army. The song was written by local songwriter Vida Ivatt who sent it to the Duke of York’s Royal Military School’s music department hoping they would play it. Major David Cresswell, Director of Military Music at Duke of York’s Royal Military School, said: “This is a brilliant opportunity to raise funds for two worthy military charities. Read more about the project on the school’s website or click the play icon at the top of the page to watch the video.